Such a cute little guy! Baby G's parents decided to use the studio wardrobe. All three outfits and all the sets are available for clients to use - in 12 month size. More from this session coming soon! Everly's beach session was so much fun! I love shooting in beach areas with vegetation, so that we can get a beautiful variety of pictures. 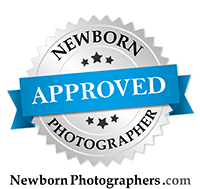 I provided all of the props and outfits for her session - a value added service that I offer for babies from newborn to one year. I also have an option to add fresh flower decorations to any session (I do them myself!). Loved this eight month beach photography session in Carlsbad. I'm so excited about my brother's family photos this year. I have been doing their photos for several years in a row, and I really loved the session this year! The kids are growing like weeds, and we found a gorgeous location to shoot this year. I love shooting in the Fall - the sun stays lower all day, and the "golden hour" is exceptionally golden this time of year. Love my family... here they are! So happy for this lovely family of three, who will soon become a family of four! Their little girl is so adorable... we got some great shots of her. The focus was on mom though, with her gorgeous belly. Excited to share since I've been SO behind on blogging and editing. This is my busiest few months of the year, wrapping up my busy wedding season, and holiday portrait sessions. More coming soon! My son turned seven this last weekend... I cannot believe it! I did a carnival themed party for him, and went all out this year! It was a fun party at Funderland and he and his friends had a great time. I created all of the invitations and party decorations. I love party planning. I think if I was not doing photography, I would be planning fun and festive parties! I do sell the invitations at www.babycardexpressions.com. In Children, Personal Tags "carnival theme birthday party", "kids carnival photo birthday invitations", "sacramento children's birthday party event photographer", "sacramento children's party planner", "sacramento kids parties"
Just one more share at the location where I will be holding my March cherry blossom mini session. I took my daughter out today for some fun. I also just added a beautiful bright blue umbrella to my collection. I love this time of year!